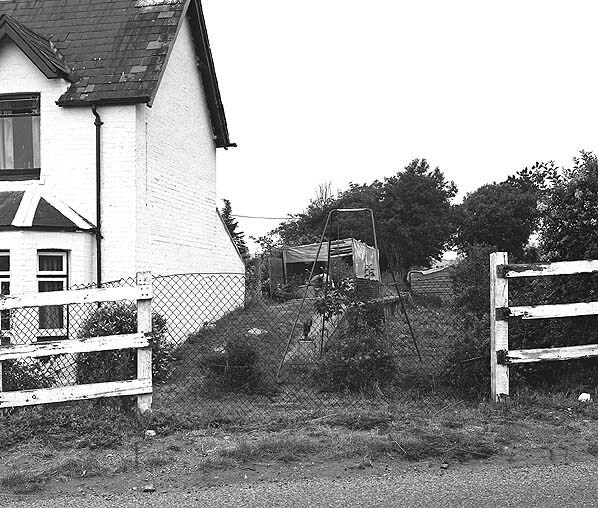 Present state: The station house is still standing and in private occupation; it has been enlarged and extended over the end of the platform. The platform is still extant although the station buildings have been demolished. 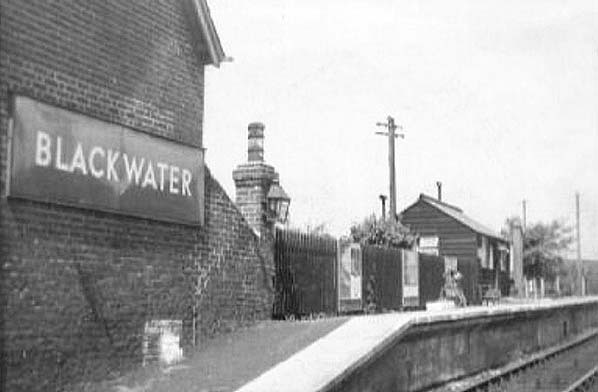 Notes: The station was opened as Blackwater but renamed Blackwater (isle of Wight) 9.7.1923 to avoid confusion with Blackwater in Hampshire. The original platform was built of wood but this was replaced and lengthened by the Southern Railway. 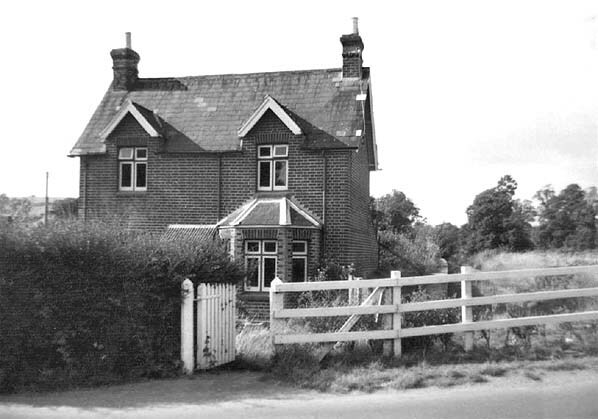 The booking office was located within the station house, facing out onto the level crossing. 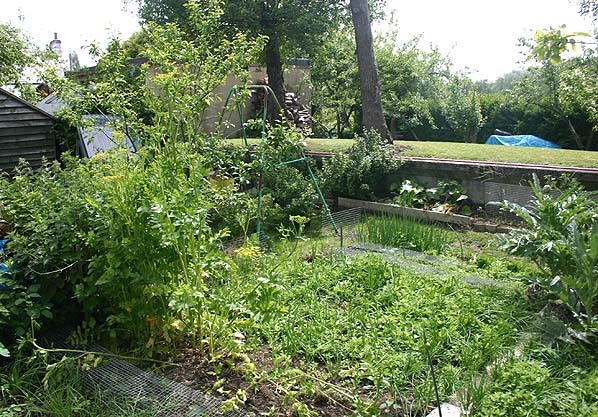 A small goods yard was located on the opposite side of the level crossing. 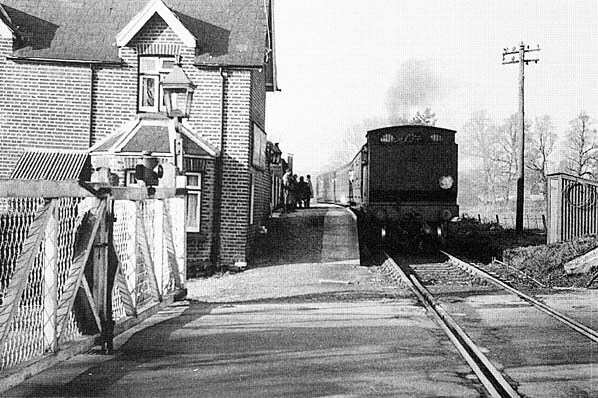 Blackwater station looking north c.1950s. 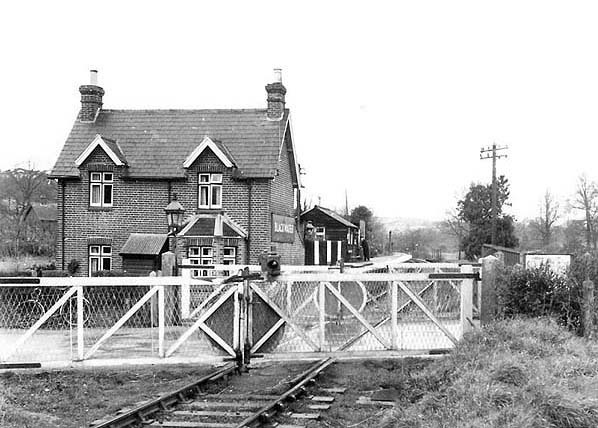 Blackwater station looking north c. 1964.
extended over the end of the platform and back along it.